There has been already two (first and second) guides which covered installing django using Red Hat Software Collections (RHSCL). While very popular, none of them went far enough to show a real world deployment example. This guide will try to provide full guidance together with sample project. I chose django 1.7 (as of time writing this guide, it’s still in RC) because in a couple of months, it will be used by many and in a year or so, it will be used widely. I also picked Red Hat Enterprise Linux 7 (RHEL 7) instead of Red Hat Enterprise Linux 6 (RHEL 6), because I feel more comfortable in our new Enterprise Linux release (I will mention differences between 6 and 7 in this guide). As a web server I chose nginx+uWSGI. I feel like this combination is very popular lately (probably because it is so fast! and flexible and easy to configure). For the interpreter I picked python 3. It’s the successor of python 2 basically in every way and since collections have it, why would you not use it? You can easily swap between different configurations with this layout: devel, staging and production. The app itself is packaged as a collection in its own prefix. Also, I sort of copied first part of Slavek’s guide, so I won’t describe it as succinctly as he did. We will configure postgres first. We will proceed now with virtualenv. We have to enable python33 collection so our virtualenv is correctly hooked to python 3. Time to install packages from PyPI. Lets install nginx webserver now (as of time writing this guide, there is nginx 1.6 in EPEL 7, but let’s just stick with RHSCL rather). This part may be done from your workstation (I was deploying from my Fedora box). One command deployments. It can’t be easier. Let’s get back to the server. And that’s it! 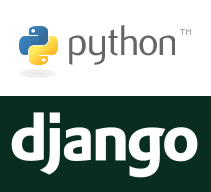 You have your django application packaged as an RPM (so you can easily manage it) and deployed in python 3. Aren’t collections just wonderful? I would like to thank the python maintenance team (especially Slavek) for helping me with writing this blog post.